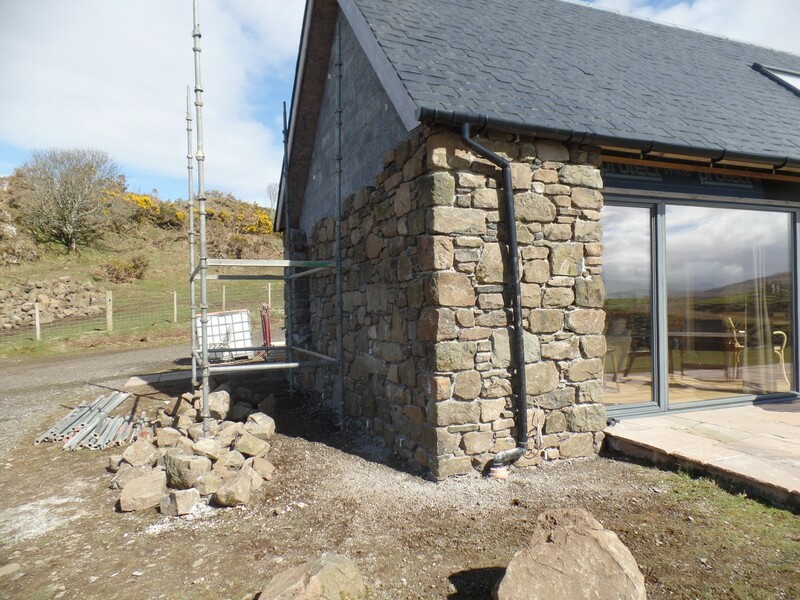 We realise that the work that we do is our advertising, so we endeavor to communicate with the client from the start until the end of the project and guarantee to give our client a high standard of workmanship and professionalism throughout their project. 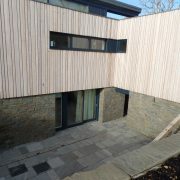 Many of our clients comment on our work ethic which includes a quality finish and a clean and mess free site. 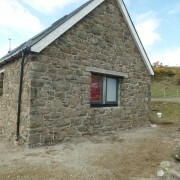 Below are a few new build constructions which we have been involved with over the last few years. Our work on these projects has been praised by our clients, who appreciate the high quality of our workmanship throughout. 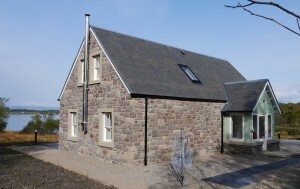 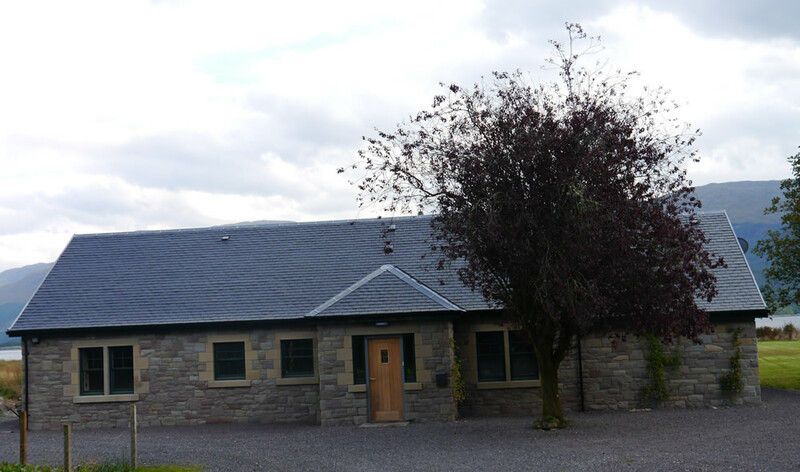 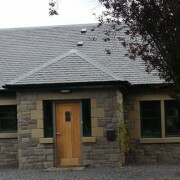 The construction of Inverleac Cottage is a more traditional build ie no wooden kit was used, instead a double block construction with a 150mm cladding of sandstone, randomly built. 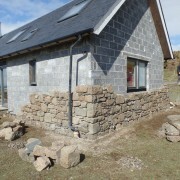 We tried to vary the colours in the stone. 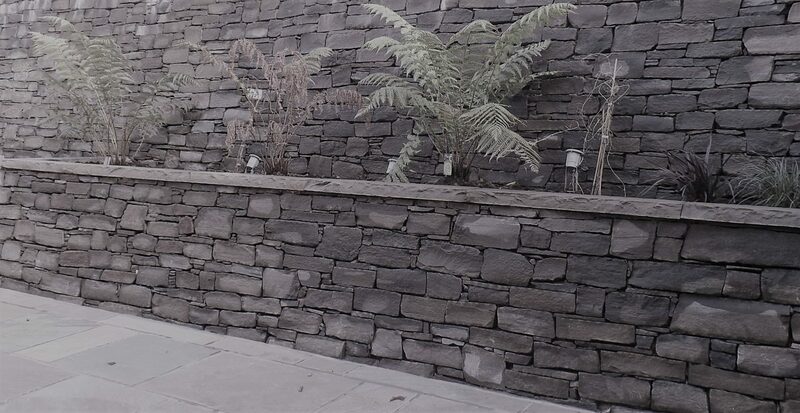 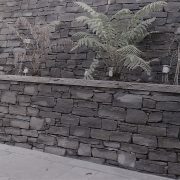 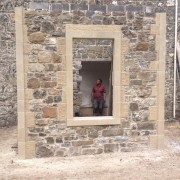 The lintels, cills, inbands and outbands are cut from Woodkirk sandstone and all of the inbands and outbands have a “stugged” tool finish which was a common finish in years gone by. 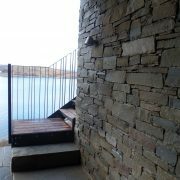 The client required a random build stone house, to be unobtrusive to the surroundings. 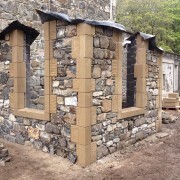 The stone used in this construction was a grey, brown sandstone from the Stirling area, built on to a block construction. 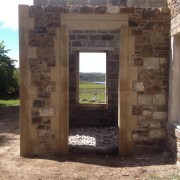 Single stone margin surrounds round the windows replicate other buildings nearby. 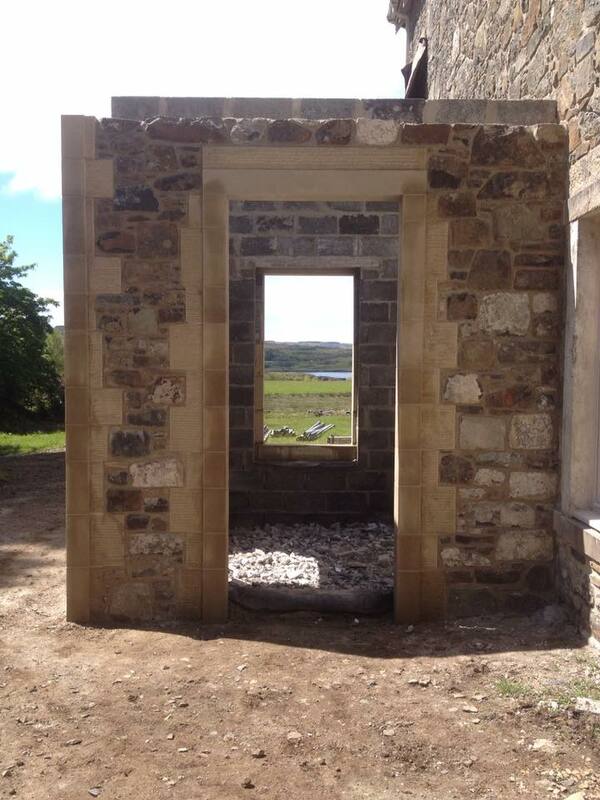 All the lintels, cills, in bands and outbands were natural stone. 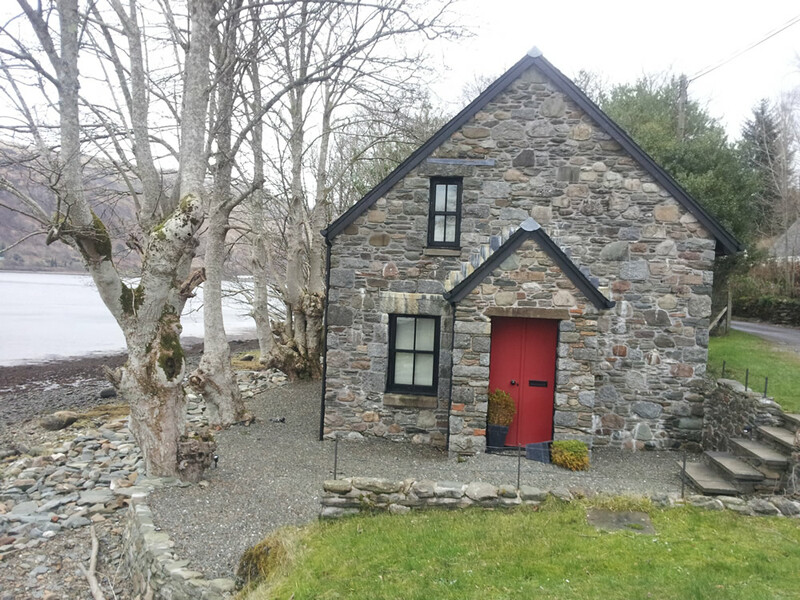 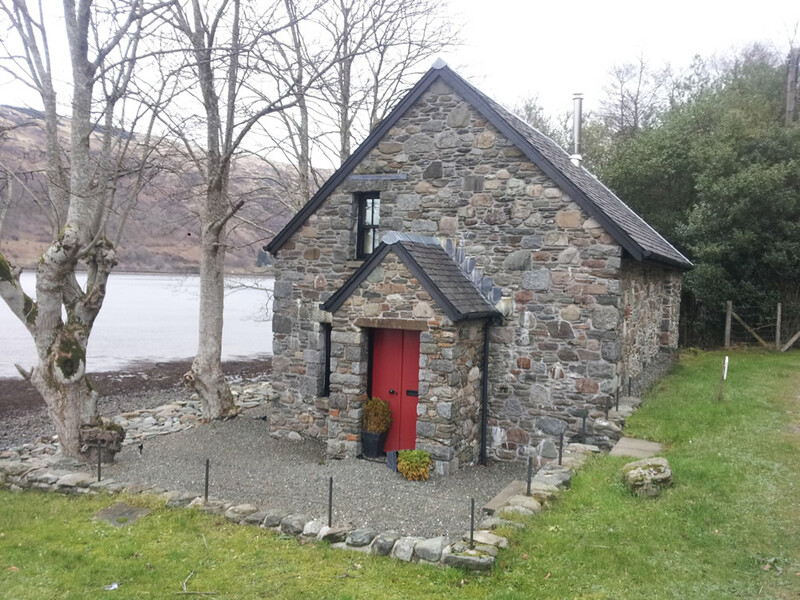 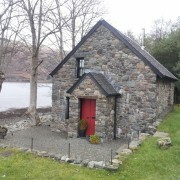 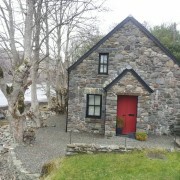 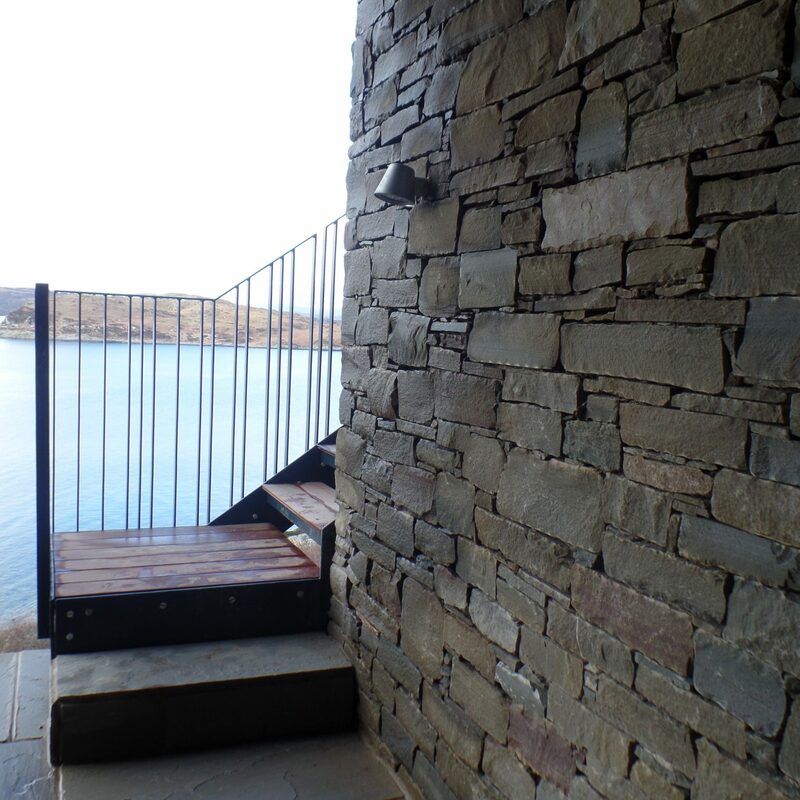 This new build on the Island of Mull was built to replicate other properties on the estate and to make it appear as if it had been there for many years. 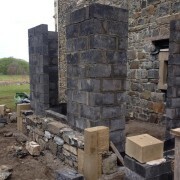 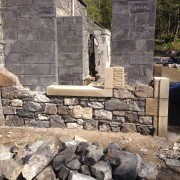 The stone construction was 150mm beds onto a block back. 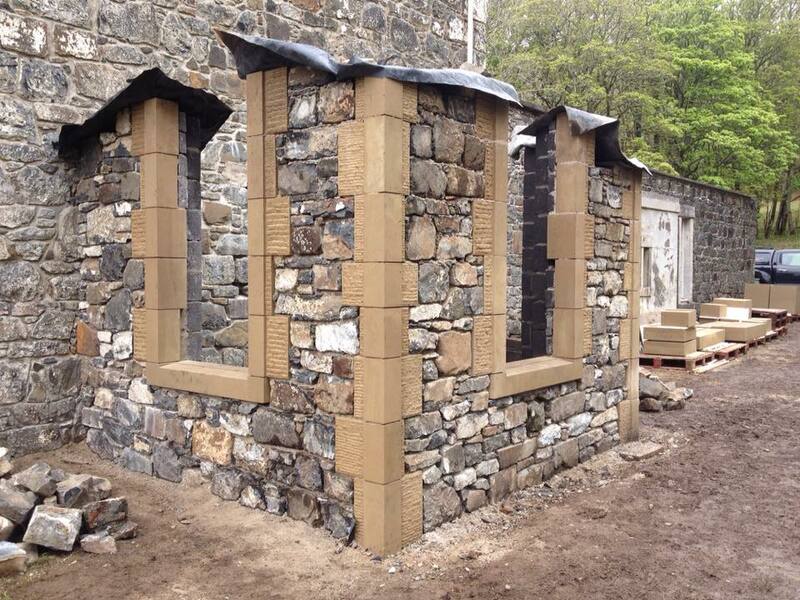 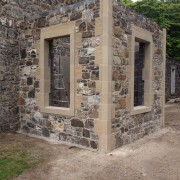 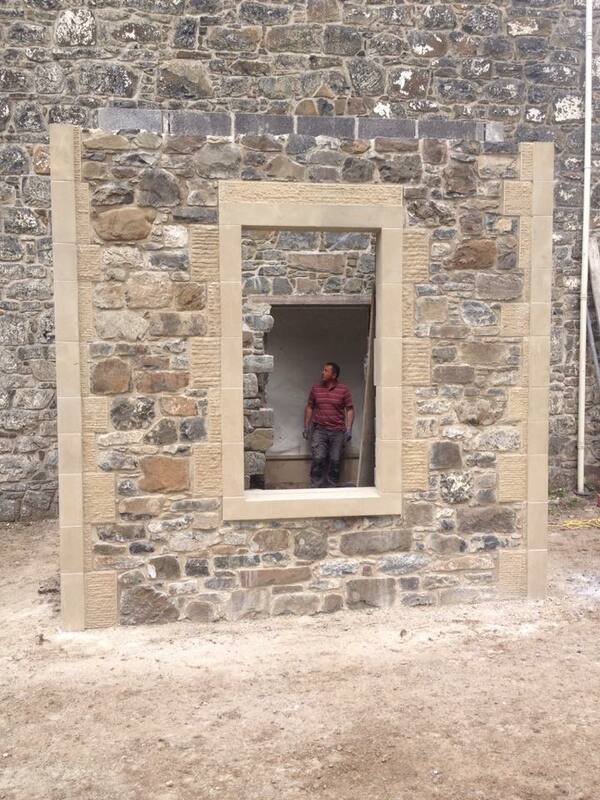 The stone was a selection of 3 different types to replicate the other buildings nearby. 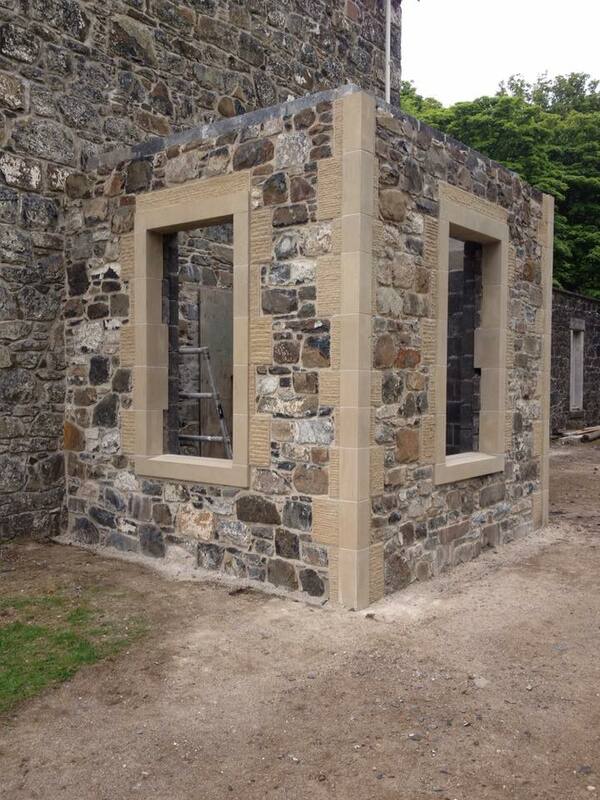 We used whin mixed with pink and buff sandstone. 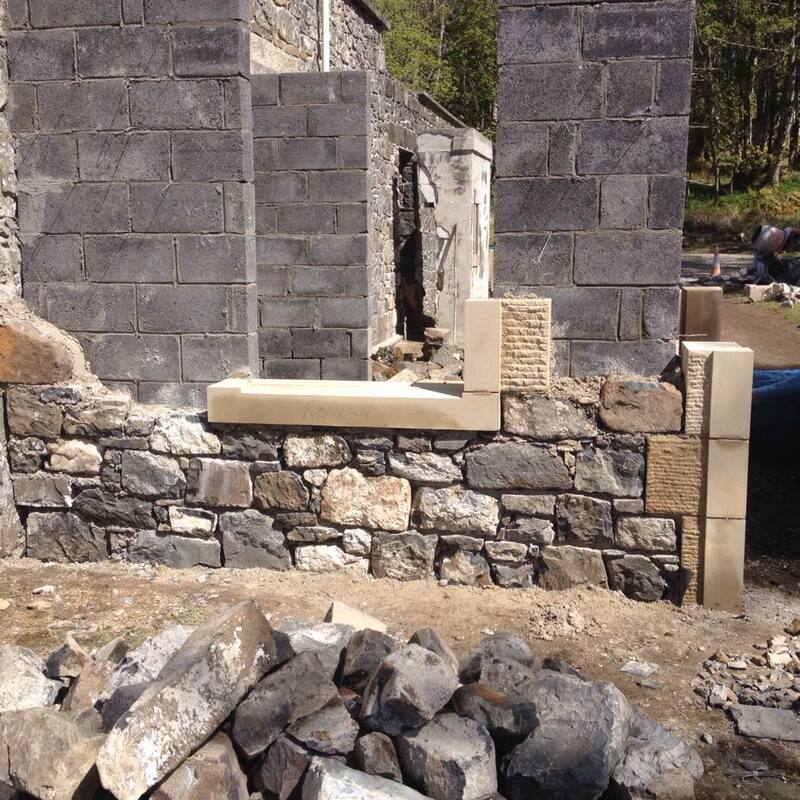 All the lintels, cills, in bands and outbands were natural stone. 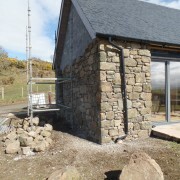 This is an extension on to the original house to create a porch. 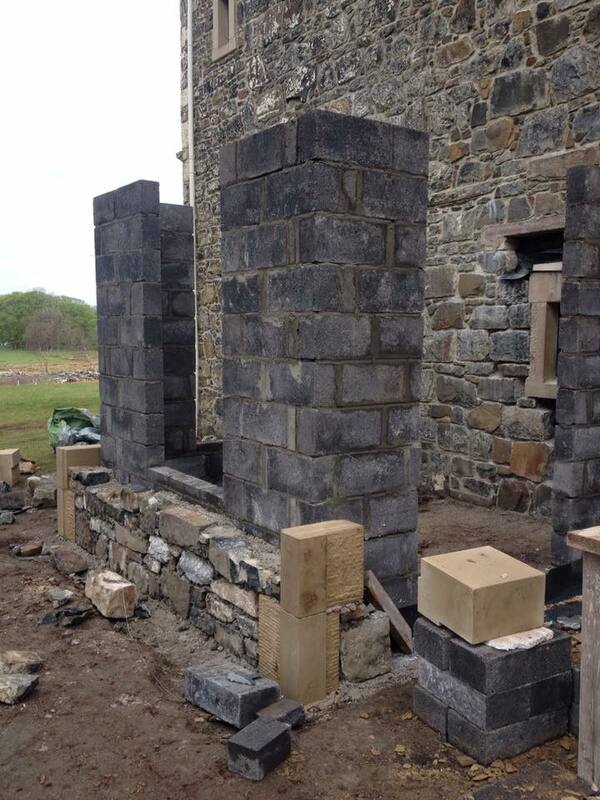 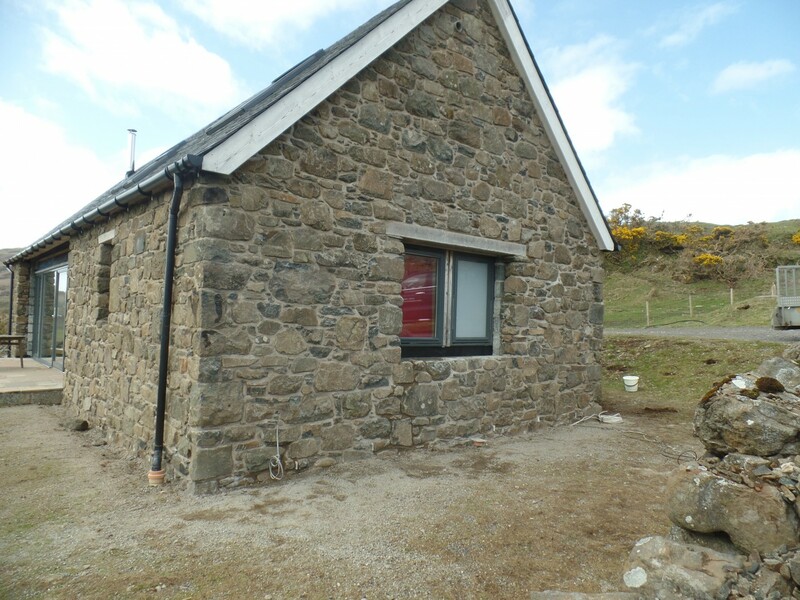 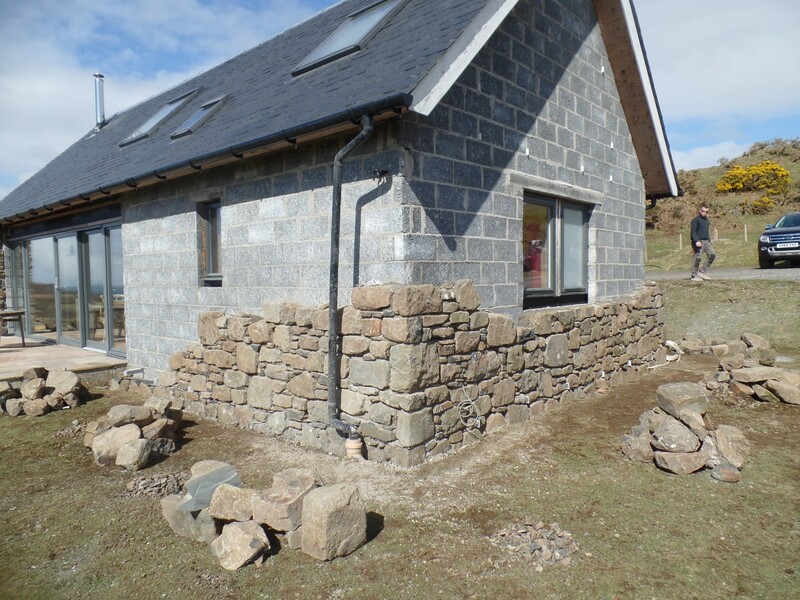 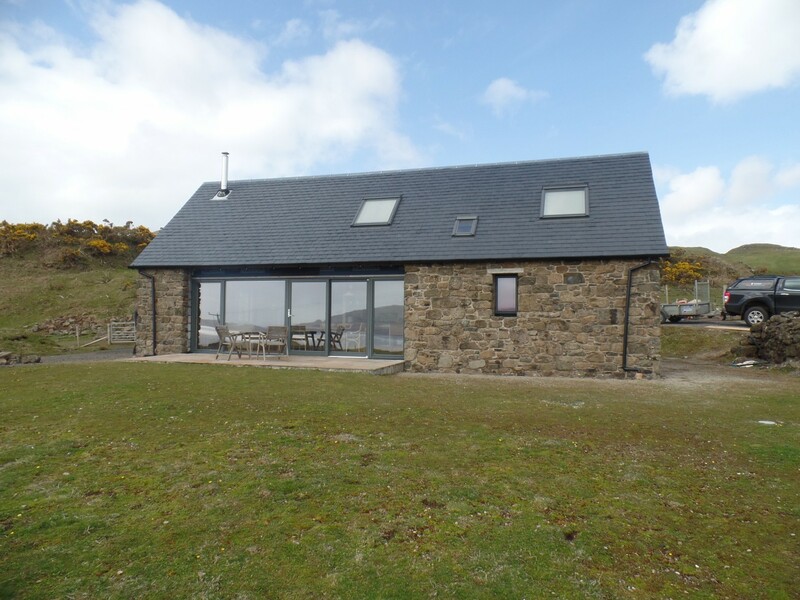 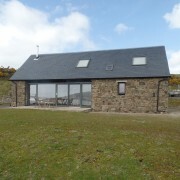 New build on the Isle of Mull which blends in with the island’s picturesque landscape. 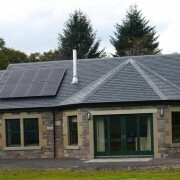 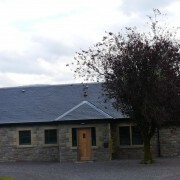 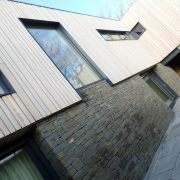 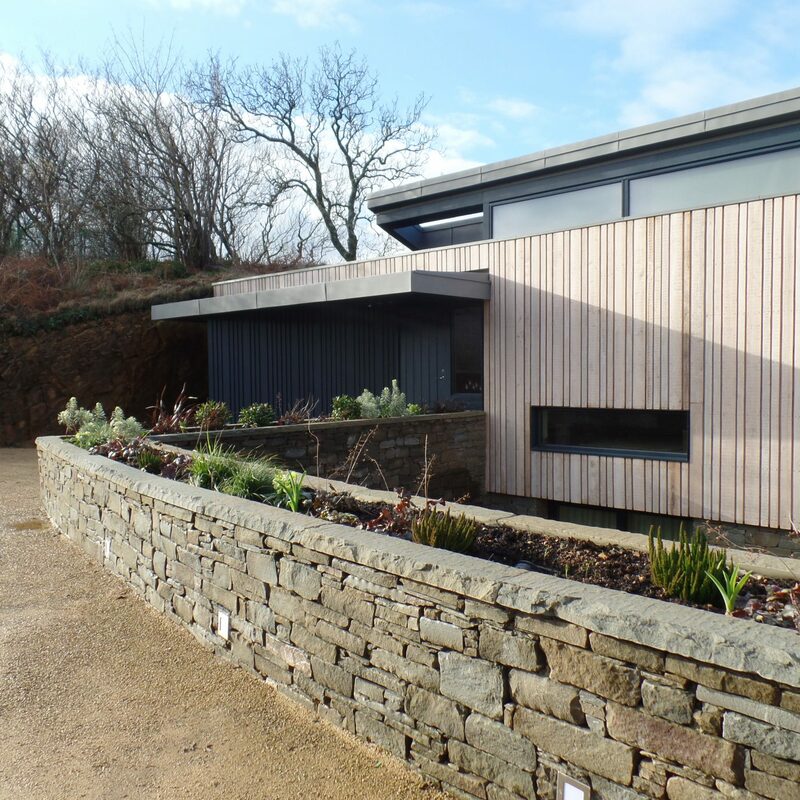 A modern new build clad in Denfind Stone. 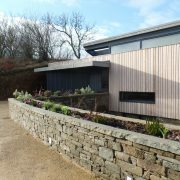 The stone and wood cladding compliment each other in this bespoke design.